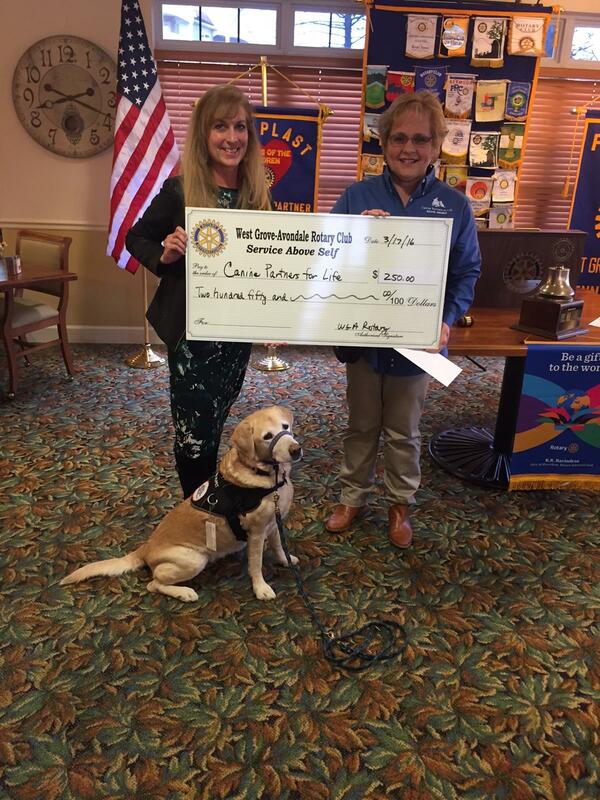 What a great presentation we had today by Canine Partners for Life featuring Janet Cooper and Sage. This wonderful organization provides an incredible service to disabled individuals as well as those suffering from diabetes and heart disease. We were able to support them with a small donation- hoping to increase it in the future!